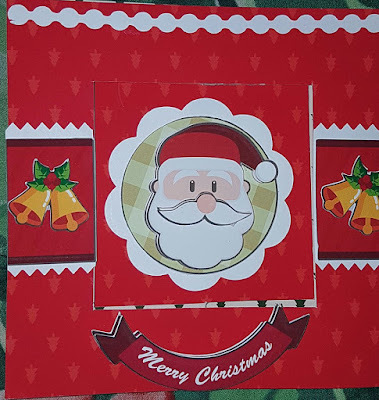 It’s officially a few more days before we celebrate Christmas and Newyear. Around the globe, most people are trying to look their best, new clothes, new gadgets, and new shoes, but can these make up for looking best at what’s on top of our head, our hair! Good news to our kababayans abroad and their friends, with the brand’s aim to help assuage hair problems across the globe, Novuhair products are available in Kuwait, distributed by Bee Organic Import & Export Establishment, Kuwait. As we bid adieu to 2016, throw away your difficulties on hair loss and scalp problems with Novuhair’s 19 natural ingredients. Made of herbal ingredients that include moringaoleifera, panax ginseng, virgin coconut oil and the natural essences of rosemary and peppermint, Novuhair nourishes the scalp and hair by increasing the flow of nutrients and improving blood circulation to the scalp. Novuhair also helps hydrate the scalp, maintain the hair’s natural luster and prevent early hair graying, hair dryness and itching. 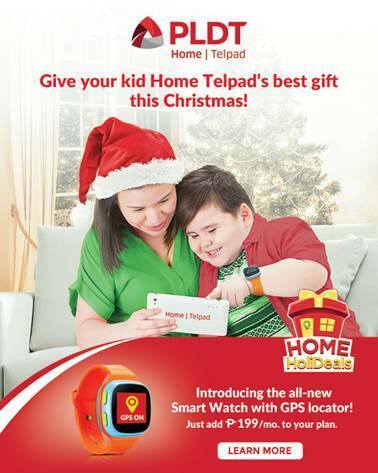 Parents can now keep track of their kiddos through the Alcatel MOVETIME Track & Talk Watch for an additional P199 per month in Telpad plan. 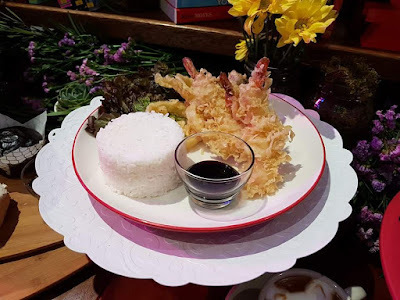 MANILA,PHILIPPINES– Ever wish you could know where your child is all the time? We are always concerned with the safety and security of our children, especially when we are not with them. We never fail to think of them; wondering of their activities during the day, contemplating if their journey back home is safe and sound. If only we could be with them every minute and could guard them under our watchful eyes every second, it would definitely be worth a peace of our minds. With breakthroughs in technology, nothing can be impossible nowadays, including the opportunity to track your children when you are not with them. Alcatel, a mobile device brand of TCL communication has developed its newest product that saves you from worry of your kid’s safety and protection. 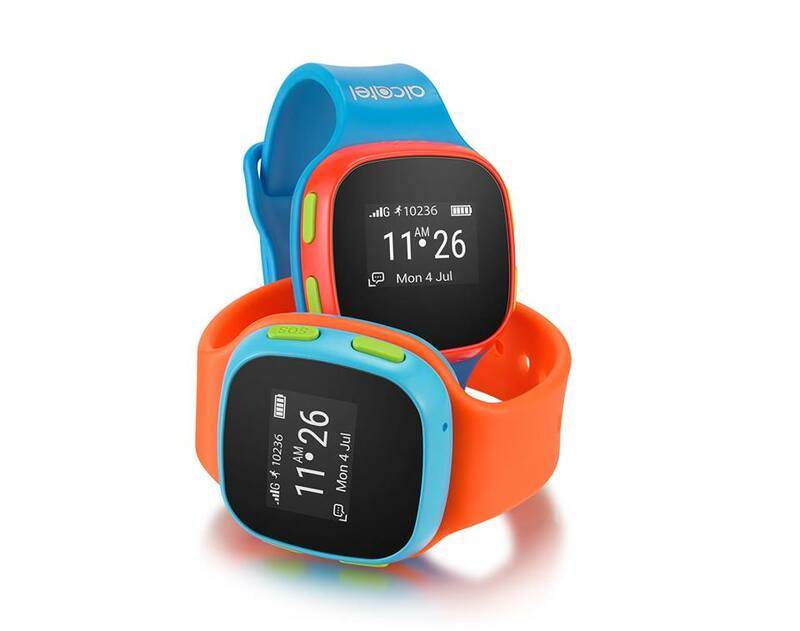 Alcatel MOVETIME Track & Talk Watch is an innovative security tool that children can wear. Download the MOVETIME Track & Talk app to connect your smartphone to your kid’s watch. The app enables you to track your kids through their smartwatch anytime and anywhere you are. You can also pre-set the safe zones for your little one. PLDT, the leading telco and digital services provider in the country, is offering this to their subscribers through its PLDT HOME unit. For an additional P199 per month on top your Telpad plan, you can already have the Alcatel MOVETIME Track & Talk Watch and have your kids wear your peace of mind. Geo-location- Using a blend of GPS, GSM, and Wi-Fi, you can easily locate your kids within 90 seconds. It is fast, reliable and simple. With this feature, you are assured of their safety by getting to know every place they go. You can even track their pace, activities and get statistics. By knowing where they run and go, you are saved from worry and anxiety. Set a safe place- This feature warns you immediately when your kids enter or leave a pre-set safe zone. By setting a safe place, you are assured that they are within the bounds of their comfort zone, thus become protected from unwanted areas that may pose risk to their protection. Alert Notifications- With alert notifications, you get instant notices on your smartphone. You don’t need to check on your phone minute by minute, the notifications will alert you of your kids’ activities. In this way, you can attend to matters in the office or at home without the hassle of checking on your phone every now and then. Send voice message- This feature allows you and your assigned family members to call your kids to check on them and remind them of stuff to do or things to remember. You can also send voice messages if they cannot answer your call. 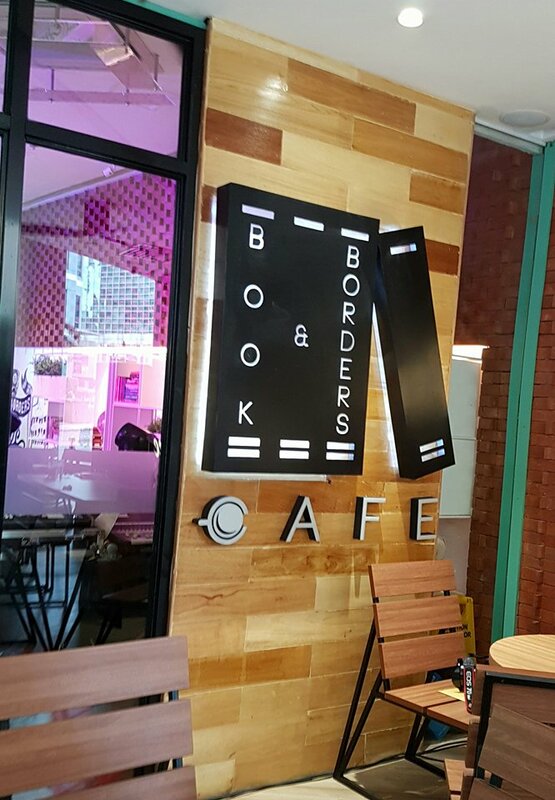 And enjoy conversations with them anytime of the day and feel more connected to them. And in turn, your child can call up to 10 assigned numbers. The MOVETIME Track & Talk Watch also have other impressive features that you will surely love. 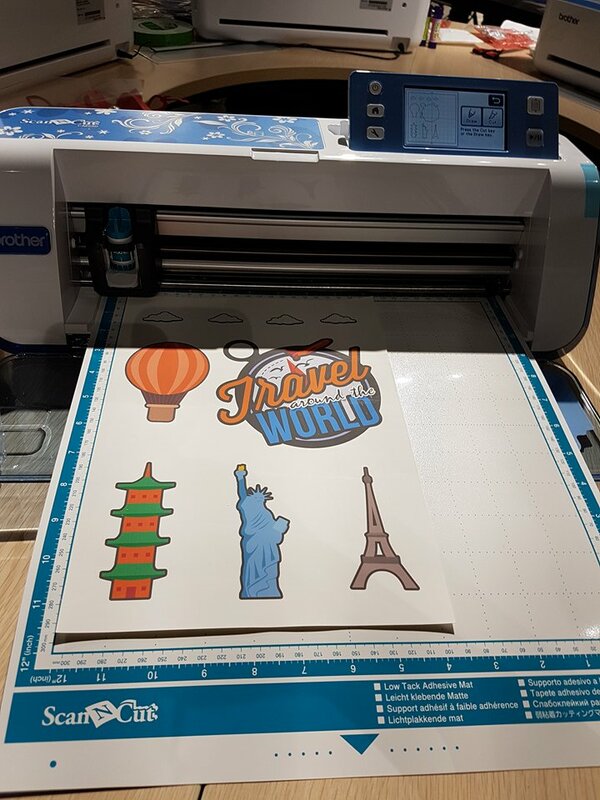 It comes with a touch button that your kids can easily operate. It has a contact list that can save all family contact numbers, so that you kid can easily scroll and call if they need to. The watch also comes in cool and funky colors, blue and orange that your kids will adore. Its battery life can go as long as four days on stand-by time. 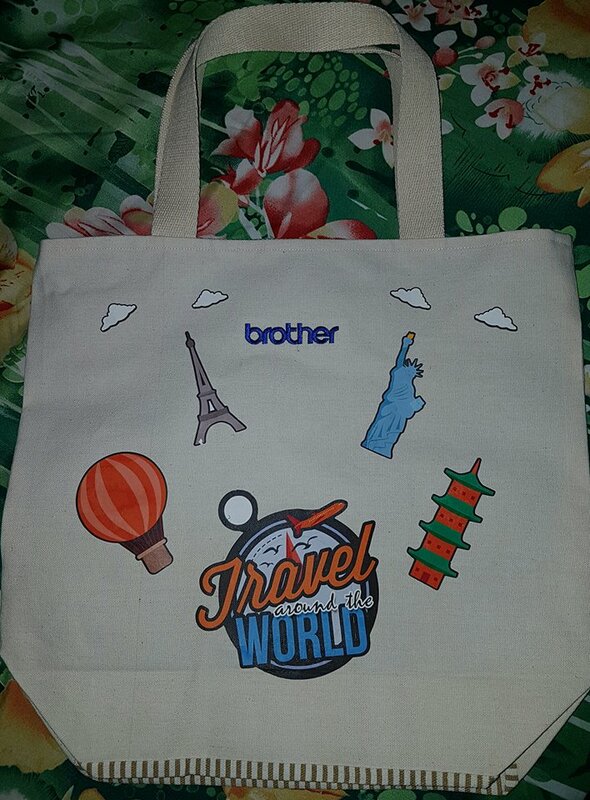 It comes with a flexible and durable structure, and is water and dust proof. But on top of all these amazing features is the assurance that you stay connected with your kids and secure their safety. The MOVETIME Track & Talk Watch helps connect and secure families with the help of digital innovations. 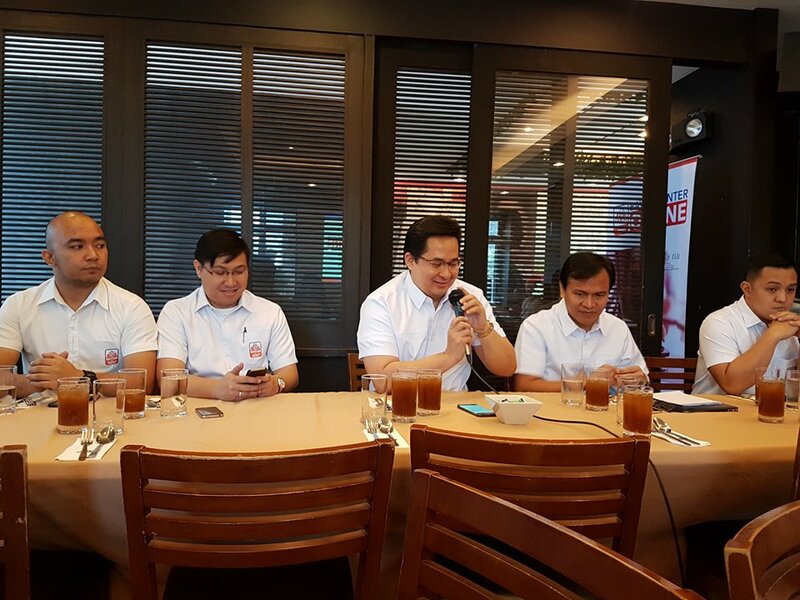 The upgraded Telpad plan comes with PLDT Smart Call All Sim with the inclusion of 60 mins call to Smart, Sun, and Talk N’ Text and 60 mobile data. Telpad plan starts at P1849 and comes with the landline, Home DSL, and Telpad unit. 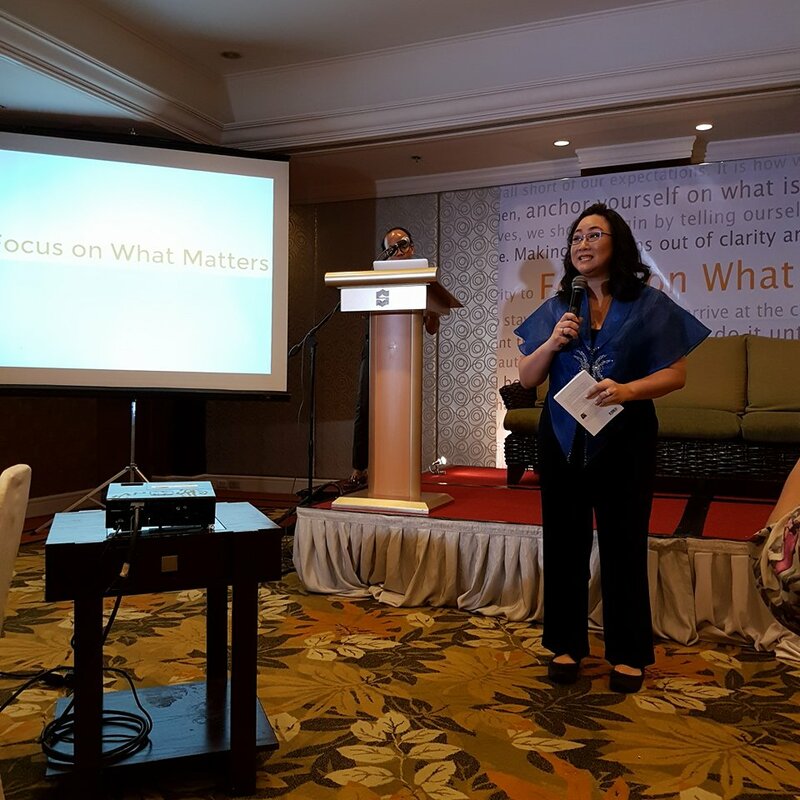 Last November 23, 2016, launched the newest book of Coach Pia Nazareno-Acevedo, “Focus on what matter”. The book is intended to help us understand and clarify what is worth focusing on in our lives. If you are dealing with confusion in your thoughts, feelings, or decisions, this book will present options for focusing on matters to help simplify your life. This is not a book review of “Focus on what matters”, although I have a copy of the book but I haven’t read it yet because of my busy schedules. I just want to share it how important this book to us in our daily lives since “life is too short”. This book will help you discover deeper truths about yourself and that you will learn to trust your personal wisdom. Definitely in this coming days I will read this book and learn “How do I stay focused”. Along with the book I will use the daily journal to help me focus on how I’m progressing in my journey. 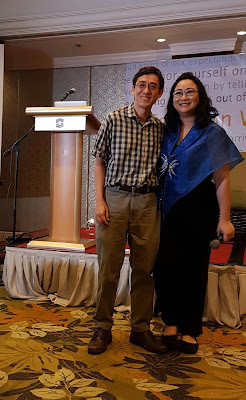 Coach Pia Nazareno—Acevedo is a Certified Professional Coach, Co—Founder and CEO of The OneCORE, ASEAN Head of the International institute for Coaching and Mentoring (llCStM), United Kingdom, and a certified member of the International Coaching Federation with expertise in Family Relationships and Personal Life Transitions. 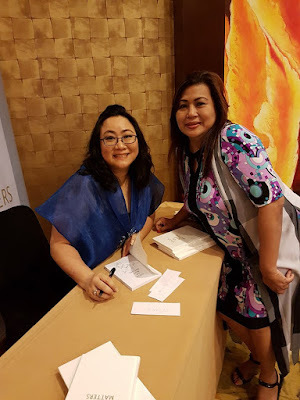 She is the leading Certified Professional Coach favored by the country's chief executives, media personalities and key social influencers, and consistently invited to give seminars and workshops in South East Asia, Paris, London, and Rome, and throughout the Philippines on performance management, personal development, marriage and parenting. Committed to reaching out to individuals for the past 15 years, Coach Pia continues to share basic knowledge on making Better Life Decisions on the radio and television through ABS-CBN, CMA, Teleradyo DZMM, TVs on Relasyon and Metro Radio Plus Hong Kong. In 2010, she launched her book entitled Born To Be A Hero“. Currently a bestseller, this book was inspired by her own pivotal life transition, which came after a near—death experience where she realized that life is too short to go through hits and misses. Thus, everyone should be equipped with skills in making better life decisions. She is married to her husband, Jim Acevedo, for 17 years, with 3 sons: Marco, 16; Paolo, 13; andioshua, 5. She is also the Gallup Philippines Representative. “Focus on What Matters” will be out in Fully Booked and selected National Bookstore branches nationwide. If you hear the word CANCER the initial reaction of the people are scared and very worried. 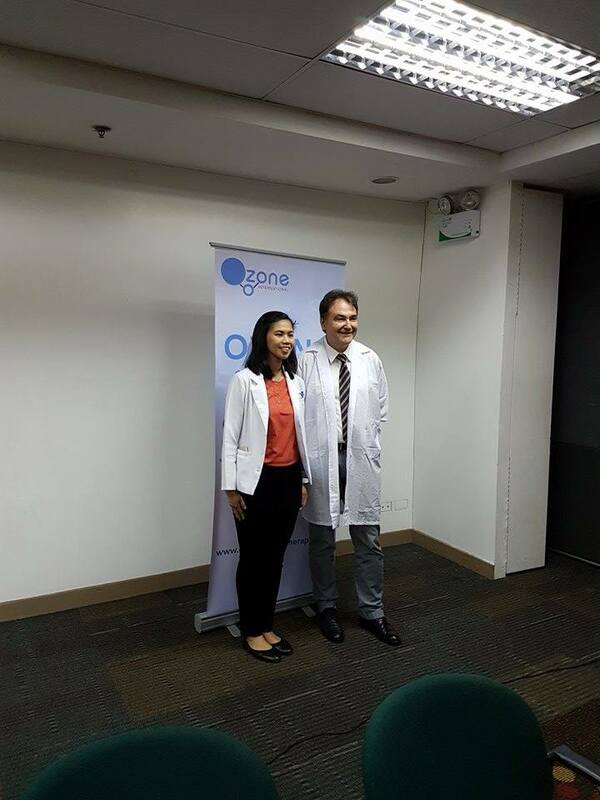 Last November 25, 2016, the Cancer Coalition Philippines (CCPh), a group of likeminded experts, key opinion leaders, doctors, patients, and advocates, officially launched the CCPh partnership and commitment to push for national cancer care with an event entitled #startwithCAN. The event introduced the CCPh stakeholders and highlighted the cancer plight in the country. 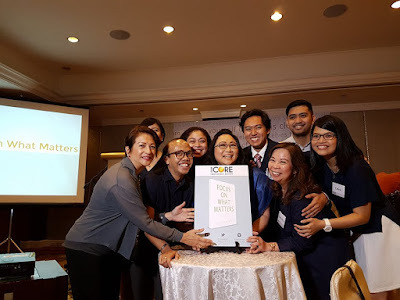 The Cancer Coalition of the Philippines believes in eliminating the barriers to cancer care to put a stop to suffering and death due to cancer. 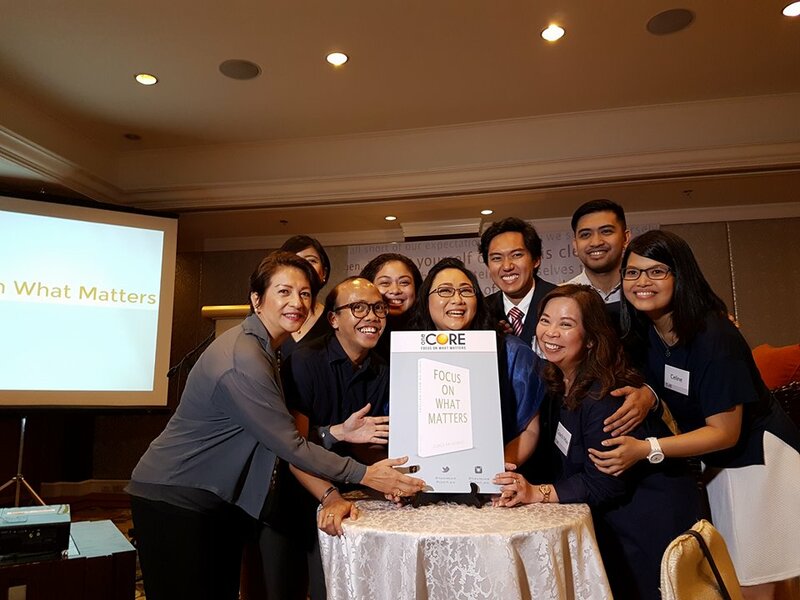 The Coalition aims to achieve this by institutionalizing cancer-related government policies into law or Cancer Act, and by increasing the amount and predictability of financial support. One out of every 1,800 Filipinos is diagnosed with cancer every year. Since 2004, cancers have been the third leading cause of death following cardiovascular disease. Between 2005 and 2009, the Department of Health reports that 44,627 people died of cancer, amounting to a mortality radio of 52 per 100,000 Filipinos.By 2030, the incidence rate of cancers in developing countries is expected to have grown by 85% from 2012. Incidence continues to rise and most Filipinos do not have the necessary means to get properly diagnosed nor to treat and fight the disease. 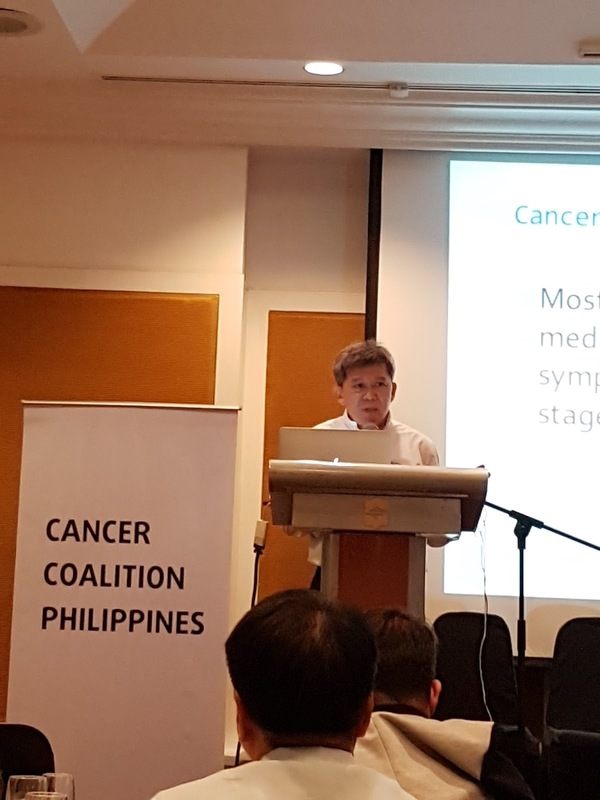 A cancer study in the country shows a significant percentage of Filipinos suffer from financial ruin or die within a year of diagnosis due to lack of funds, support, and access to traditional and innovative types of medication. The cancer burden in the country has become overwhelming and Filipinos are in dire need of a consolidated comprehensive cancer plan. Cancer is a devastating disease and it affects not only the patients,but also everyone around them. Studies have shown that the effect the disease has on both a patient and their family and loved ones is immense. The financial burden alone is alreadyoverwhelming. In the Philippines, out-of-pocket health expenditure is almost always higher than annual family income. These expenses include hospital stay, medicine, and other costs such as medical supplies, food, and transportation. 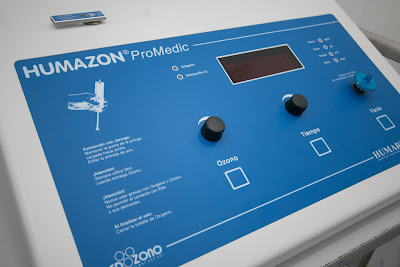 Cancer costs billions of pesos as well as loved ones and family members. With the rising incidence of cancer, it will only be a matter of time before the disease begins to strain a larger margin of society and the economy with loss of productivity for both patients and immediate caregivers. A national cancer act is imperative. One that is inclusive of programs such as accessible and affordable screening to catch cancer earlier, providing a better safety net for cancer patients who are wage earners, a significant increase in reimbursements for cancers, access to all types of cancer treatment and medication, support for cancer patient funding agencies such as PCSO, and cancer post-hospitalization benefits. Only if cancer if addressed in such a comprehensive manner can we truly hope to see a decrease in incidence and an increase in survivorship. Of the leading causes of cancer in the Philippines – breast, lung, liver, colon-rectal, and cervix remain the top sites. Three are preventable (lung, liver, cervix) and the other two (breast, colon-rectal) can be cured if detected early enough. Though cancer awareness has grown, this has not successfully translated into decreased incidence. Over the years cancer patients, loved ones, doctors, and the community continue the battle against dreaded disease. 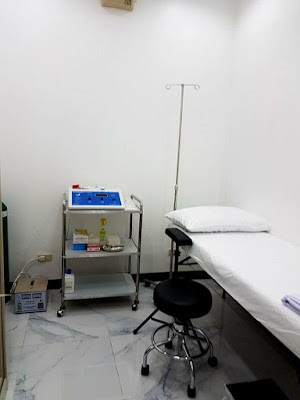 Today, Filipino families living with cancer are receiving inadequate support from their healthcare insurance, local government units, and the Department of Health. These government agencies need more resources to be truly responsive to patients’ needs. Through the envisioned Cancer Act, agencies will get a much-needed boost to the benefit to all Filipino cancer patients. At the end of the day, the solution to the cancer plight in the country will not come from one source. Everyone has a role to play in improving the quality and affordability of services and treatments.Stakeholders include patients, families, patient organizations, medical societies, government health insurance, local government units and the Department of Health. If everyone works together, cancer patients in the country can get the help they truly need. I am very thankful that I was able to attend to this event. I learned regarding Cleaner Energy and should encourage all the people to talk about the Climate realities to forecasts for the future of the planet. Climate Reality unifies voices for cleaner and dependable enery, the international organization has launched the “Let’s Talk Cleaner Energy” campaign in the Philippines last November 28, 2016. Challenging Filipinos to consider cleaner alternative energy sources that can power the country. 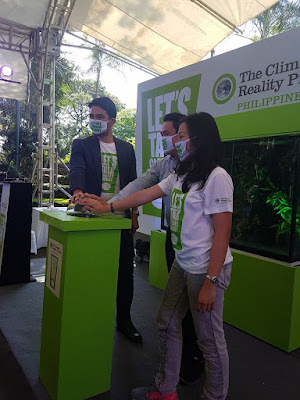 Climate Reality Project, a global, multi-sectoral alliance advocating grassroots participation in climate change issues,to explore the vulnerabilities faced coal-dependent countries, like the Philippines. “If there is one thing that we should talk about, shouldn’t it be our future? The Philippines has had opinion leaders start conversations on climate change on the global platform, but we need to unify these voices back home and commit to change our nation’s course. I believe that is what we are doing today,” said RodneGalicha, Climate Reality Project Philippines manager. He noted that elsewhere in the world, the movement for renewable power has been rapidly advancing. India has brought down the cost of solar energy, and successfully made it cheaper than coal-generated power. The Climate Reality Project Philippines manager likewise called on to recognize the impact of shying away from the conversation on climate change. Galicha explained a three-fold threat to the nation that only grows as it is delayed: the increasing rate of climate risk, the dependence on dwindling coal reserves, and the indifference of population accustomed to climate change. 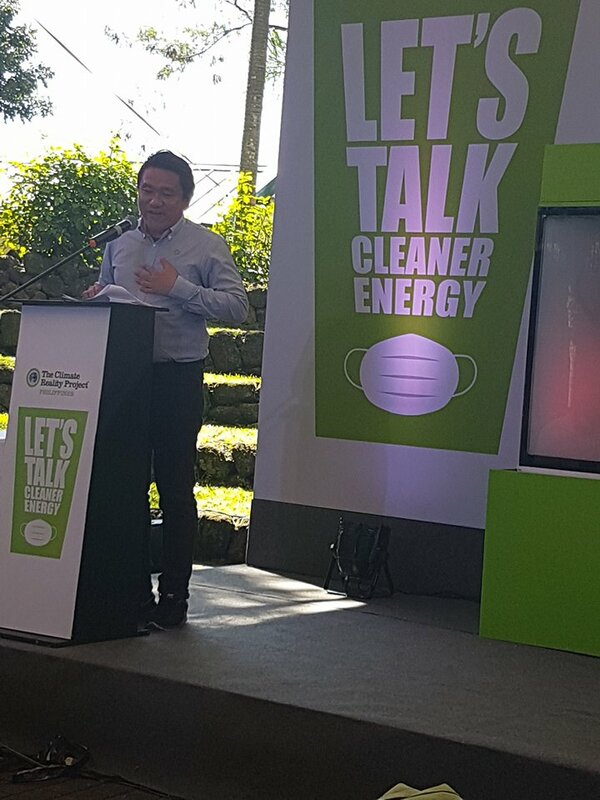 The “Let’s Talk Cleaner Energy” event is the one of the many initiatives from the Climate Reality Project Philippines. To know more about their cause and how to save the future of the planet, follow them at www.facebook.com/climatereality. Pag-IBIG Fund got a net satisfaction of +75 or Excellent in the Visayas for its services, based on a national survey conducted by Social Weather Stations from September 24 to 27, 2016. This is a 34-point increase from +41 in a similar survey done in December 2015. 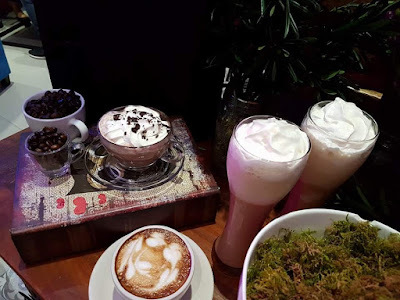 “One of the biggest reasons for the increased net satisfaction in the area is the opening of more branches in Regions 6 to 8, or Western, Central, and Eastern Visayas, respectively. 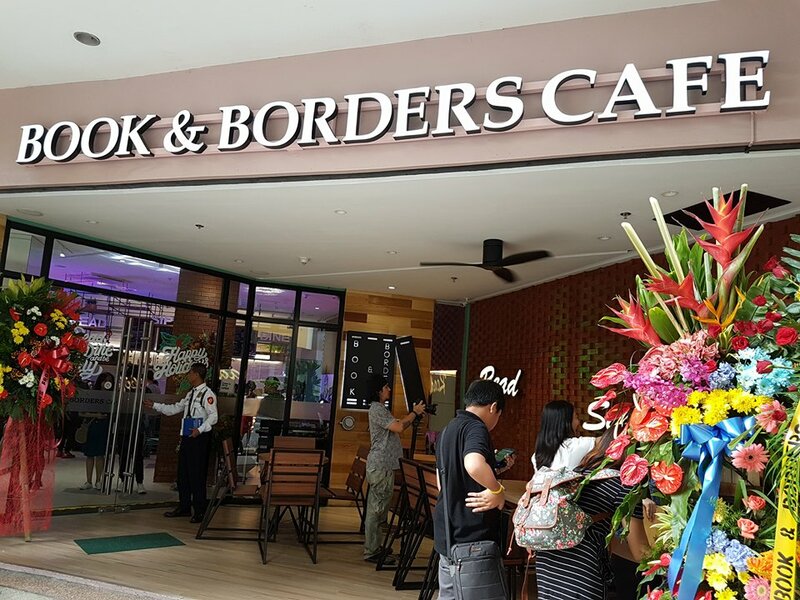 From five branches in 2010, we now have 19 branches and three service offices all over the Visayas,” said Ms. Victoria dela Pena, Vice President for Member Services Operations in the Visayas and Mindanao. She also attributed members’ awareness to the increased visibility of various Pag-IBIG teams who are aggressive in marketing the Fund’s Loyalty Card program. Among the respondents, 84% answered that they are aware of Pag-IBIG Fund and its programs. This is a 5-point increase from the previous 79% awareness score. 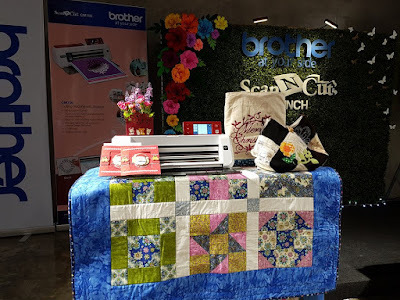 “Constant exposure of our membership and housing programs on TV and social media also contributed to the high net satisfaction,” Ms. Dela Pena added. Availment of services also increased, up by 8% to 24% in September 2016 from 16% in December 2015. The biggest jump in services was noted for membership and employer registration, showing a 29% increase from 36% in December 2015 to 65% in September 2016. This was followed by verification of membership or loan records at 24%, up by 9% from 13% in December 2015. Starting last year, Pag-IBIG initiated to engage a third party survey to track how members are impacted by its programs. Pag-IBIG continues to implement reforms and enhance its programs, and makes sure that these improvements are felt by its 16.9 million members worldwide. Pag-IBIG branches increased nationwide from 38 in 2010 to 117 to date. 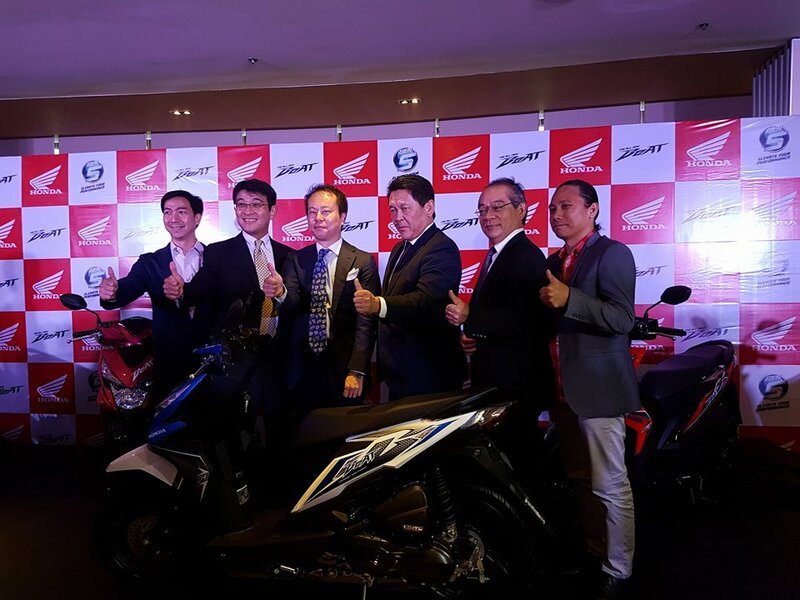 I was delighted and amazed of the All-New Honda BeAt. It was launch last Novembern 26, 2016. The newest AT scooter from the Gen-S lineup designed to inspire the young, fun, sporty, and stylish millennials with Filipino Exclusive Colors and Graphics. 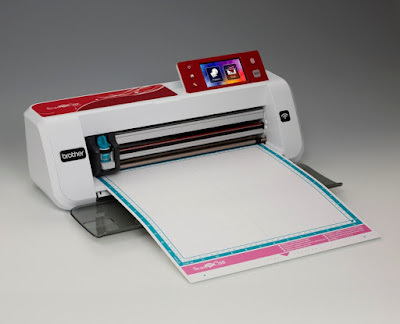 Available in 6 colors, with 2 variants: In CBS-ISS variants – Winning Red (red-white combination), Vivid Blue Metallic, and Space Magenta Metallic; and in Standard variants - Winning Red (red-black combination), Ross White, and Black. 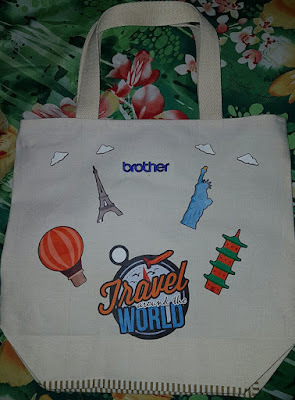 Price starts at Php63,900.00. The all-new Honda BeAT is a reflection of Honda’s dedication in trendsetting new scooter styles to please the taste of the Filipino customers, especially the youth. It features a slim and sharp form in compact size, new design wheels and tubeless tires, and semi-digital meter panel with ECO indicator. Among the various highlights of the All-New Honda BeAT is the specially designed sticker in fashionable colors that is created to captivate the young generation’s preference and express their individuality and uniqueness. The all-new BeAT also showcases the improved performance that shows Honda’s dedication to innovation, environment and safety. It has adapted Honda Smart Technology withthe lightweight and compact 110cc liquid cooled enhanced Smart Power (eSP) engine for enhanced performance. Furthermore, the model provides advanced environment and safety features. They include; the idling stop system with which the engine stops and produces zero exhaust emissions during brief stops for superb fuel efficiency; the ACG-starter for a smooth and quiet start with no conventional starter motor; Combined Brake System (CBS)(for the ISS/CBS variants) for optimum braking balance between the rear and front tires. Interested customers can visit Honda dealers nationwide. More information of the all-new Honda BeAT is available at www.hondaph.com. Pag-IBIG Fund President and CEO Atty. 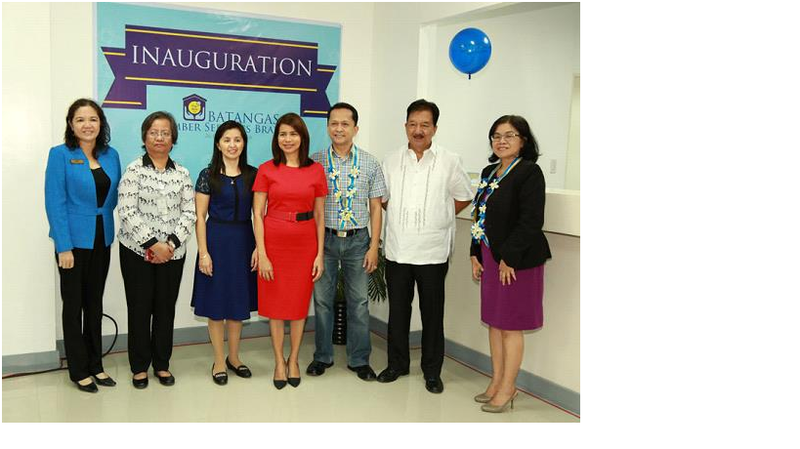 Darlene Marie B. Berberabe (center) leads the inauguration of the agency’s Batangas Branch. Joining her are (from left): LANDBANK Batangas City Branch Manager Remedios Manay; Pag-IBIG Fund’s Southern Tagalog Area Head Maria Elsa C. Naga, Batangas Branch Head Thelma D. Acosta; Batangas City Vice Mayor Dr. Emilio Francisco A. Berberabe, Jr., City Administrator Atty. 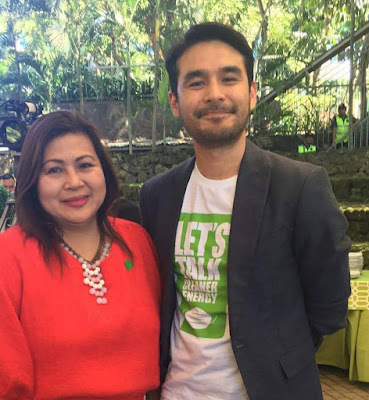 Narciso B. Macarandang; and Pag-IBIG Fund Deputy CEO Ophelia L. dela Cerna. Pag-IBIG Fund recently inaugurated its new Batangas office located at the 2nd floor ATDRMAM Building, KumintangIbaba. It transferred from its old office in Bo. Calicanto. The branch covers the 1st, 2nd, 3rd, and 4th districts of the said city. It serves more than 2,300 employers and 87,000 employers. “In 2010, Pag-IBIG only had 38 branches nationwide. Today, we have 117, making our services and programs more accessible to members in the country,” Pag-IBIG Fund President and CEO Atty. Darlene Marie B. Berberabe said. For the second consecutive year, Pag-IBIG Fund was recognized as one of the Most Outstanding Accounting Offices by government accountants. The Association of Government Accountants of the Philippines, Inc. (AGAP) gave Pag-IBIG Fund its second Most Outstanding Accounting Office Award at the group’s annual convention held in Bohol on October 19. 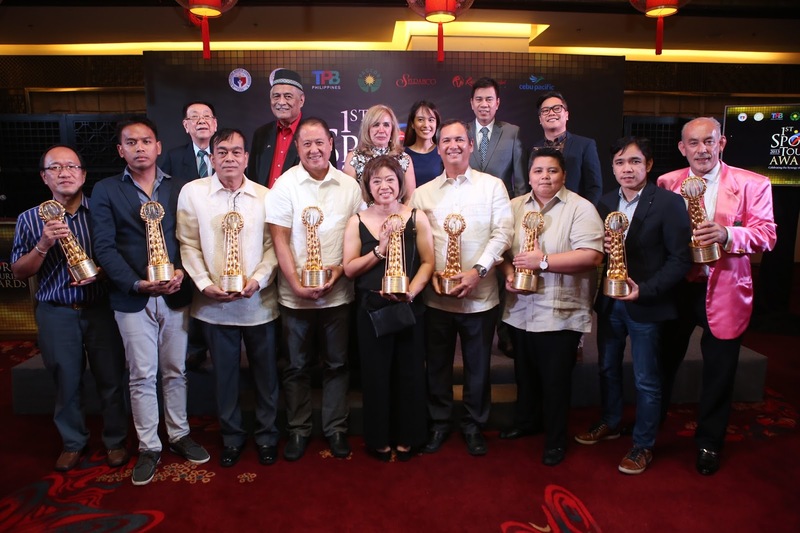 Department of Budget and Management (DBM) Secretary Benjamin Diokno presented the Award to Pag-IBIG Fund through its representative Senior Vice President Florentino Espana, Jr.
“Winning the Most Outstanding Accounting Office Award for two years in a row is an invaluable feat for us in Pag-IBIG. We thank AGAP and the auditors in COA for recognizing our efforts in complying with the highest standard of quality and transparency in reporting our financial performance,” said Pag-IBIG President and CEO Atty. Darlene Marie B. Berberabe. The Most Outstanding Accounting Offices are chosen yearly by AGAP based on the recommendations from the Commission on Audit (COA). State auditors evaluate nominees based on the timeliness of submission of financial reports and the accuracy in reporting the financial statements. 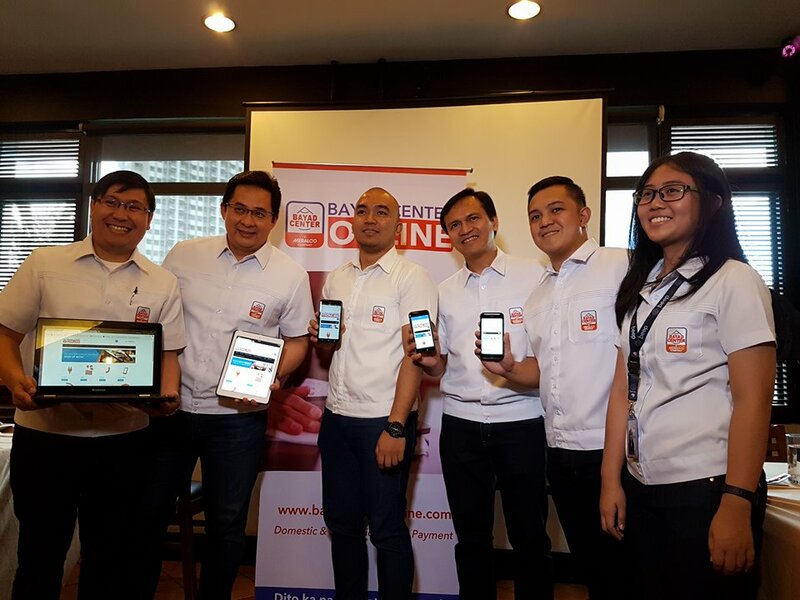 “Gaining this back-to-back recognition from government auditors and accountants from peer agencies is truly an honor for us. 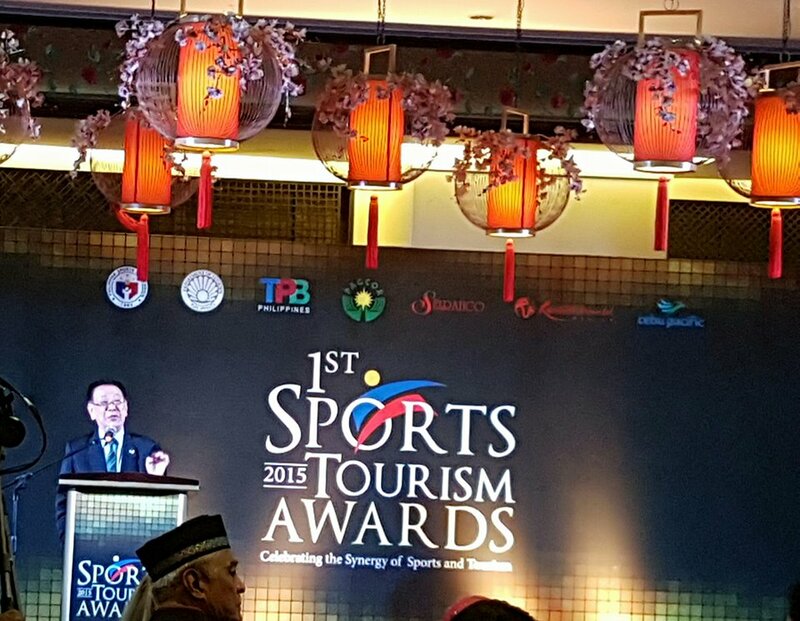 We were told that the list of awardees this year was shorter compared to last year’s. We are grateful that we made the list again. As administrators of the Filipino workers’ fund, nothing is more important to us than the trust of every Pag-IBIG member in the way we manage their fund. Our second Most Outstanding Accounting Office Award is another recognition that we go to great lengths to safeguard our members’ savings,” said Atty. 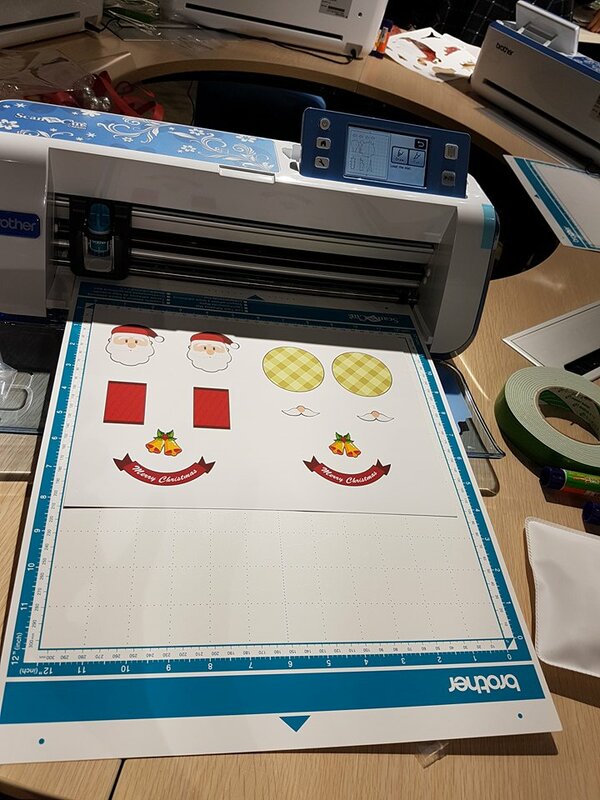 Berberabe. 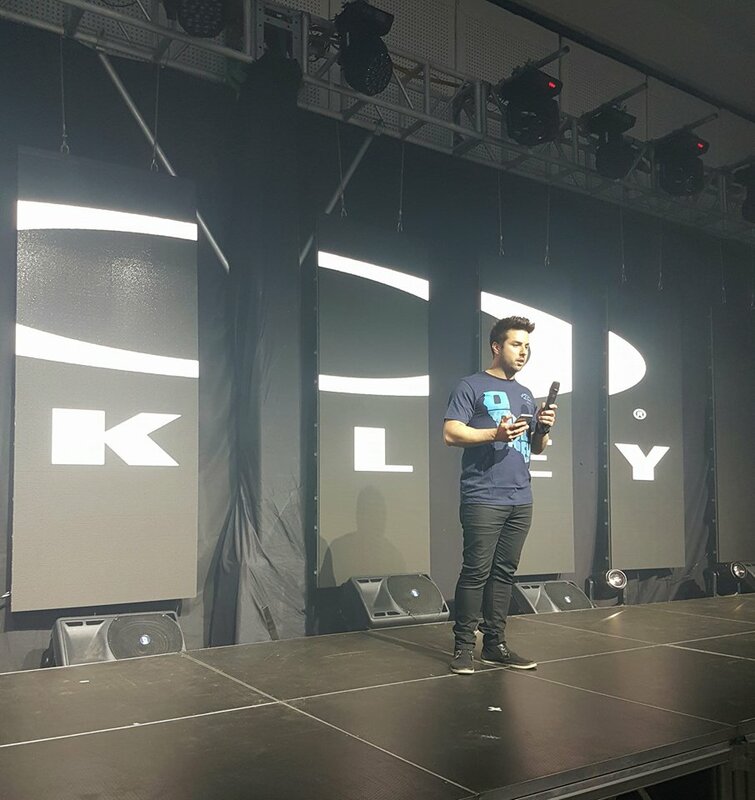 One fun and great night during the Oakley launched the newest collection in a fashion show titled ‘Oakley Freedom Train’ with special guest Apartel band led by Ely Buendia which happened last November 17 at White Space Manila. The whole apparel line is dedicated for golf, biking, lifestyle and training wear. 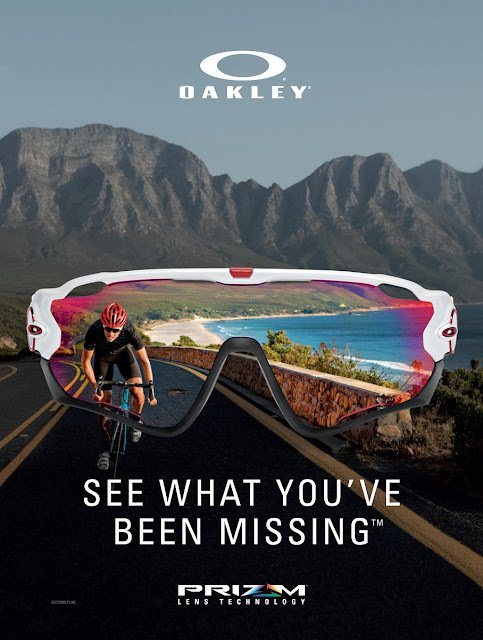 Oakley gave a brand new look to the whole collection as we did not see the boring sportswear we are used to see, but a mixture of unique prints and colors while still retaining the technology that Oakley is known for. The items in the collection feature the Ohydrolix fabric – a cloth that maximizes comfort by transporting perspiration away from skin and carrying it to the outer surface where it can quickly evaporate. This wicking ability helps protect the wearer from overheating in hot climates and chilling in cold climates. Not only will you look good while training, it will also enhance your performance. Oakley continuously provides you with the best quality products that suite your everyday lifestyle. The items in the collection are laced with unparalleled technology present in every merchandise we produce. 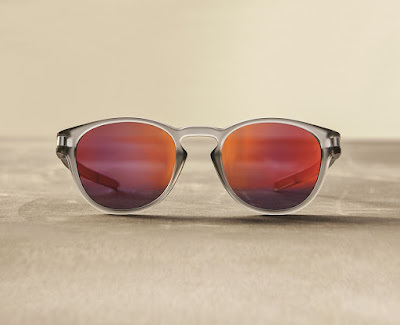 Hop on the Oakley Freedom Train and at get off at the brand that lets fashion meet with function! There are so many options for sunglasses out there, but it can still be hard to find exactly what you’re looking for. If you want to create a pair of sunglasses personalized just for you, come by Oakley stores for a fully customized experience. Special customization wall that allows you to choose the color of the frames, the lenses, and even their signature Oakley “O” on either side. The options are endless. There are over 15 types of frames to choose from and an infinite amount of color combinations. The best part is the wait (or lack thereof)! 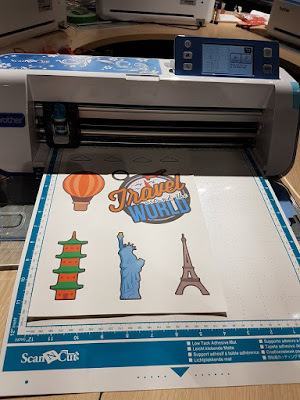 They have all the resources to create your custom sunglasses right in the store. The whole process takes only fifteen minutes, and you walk out with a brand new pair created just for you. 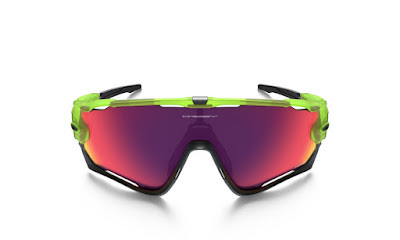 Oakley provides unrivalled performance and technical brilliance. And this philosophy has resulted in some of the best-engineered sunglasses on the planet. With over 600 patents Oakley is where physics meets art. 'Mad scientist' Jim Jannard started Oakley in 1975 for elite athletes who see the limits of possibility as another challenge. Standout from the crowd and design your own Oakley Custom Sunglasses today! Latch A creative collaboration from the world of skateboarding, this design inspired by influential athletes is shaped with a classic keyhole bridge and the curves of rounded lens orbitals, and we engineered it with the convenience of an interior kick-up feature that lets you clip it to your shirt. Matter™ stress-resistant frame material is both lightweight and durable for all-day comfort and protection. Ceremonial Signing of Partnership Agreement (left to right): Asec Frederick Alegre (Asst. Secretary, Office of Public Affairs, Communications and Special Projects Department of Tourism); Ms. Ruby Ann Reyes (Vice President, Corporate Marketing, SM Lifestyle Entertainment Inc.); Mr. Wilson Tieng (Chief Executive Officer & President, Solar Entertainment); Gov. Luis “Chavit” Singson (Chairman, LCS Group); Mr. Kazuo Okada (Chief Executive Officer & President, Okada Manila) and Mr. Shawn McClain (Vice President, Business Development & Marketing, Miss Universe Organization). 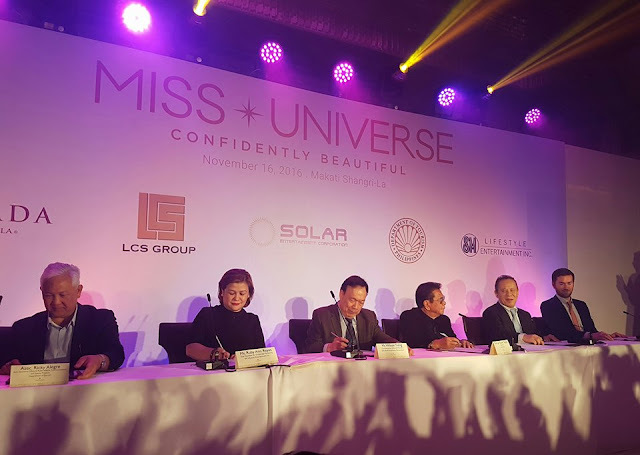 Last November 16, 2016 at Makati Shangri-la Hotel, the officials and organizers of the Miss Universe 2016 competition confirmed that the next pageant will be held in Manila, the capital of the Philippines, in January 30, 2017. Miss Universe Organization Vice President Shawn McClain signed contracts with Philippine sponsors led by Governor Luis “Chavit” Singson, Chairman of LCS Group. 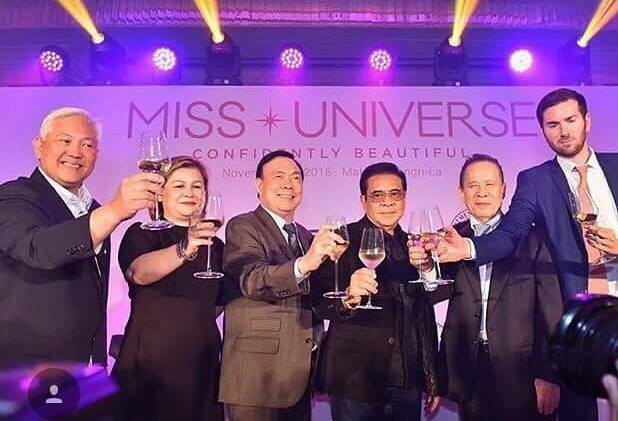 Hosting MISS UNIVERSE® brings pride, prestige and tourism opportunities to the Philippines. The contestants will experience many of the country’s attractions showcasing why the Philippines is the rising star of Asia. The Venue will be at the Mall of Asia Arena, Pasay City, Metro Manila, Philippines (15,000 capacity) will set the stage for MISS UNIVERSE®. 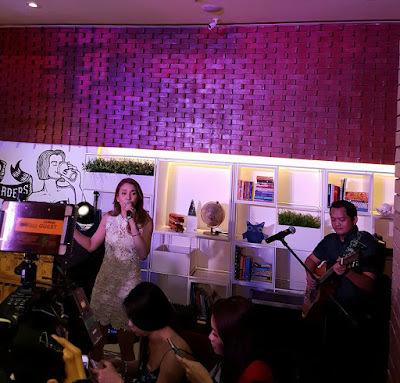 The venue is the latest venture to rise at the leading entertainment and retail destination, the Mall of Asia Complex. In addition to the family, friends and fans who will travel to support their respective candidates, an enthusiastic local audience is expected. Furthermore, the global broadcast will reach approximately 190 different territories and countries worldwide. 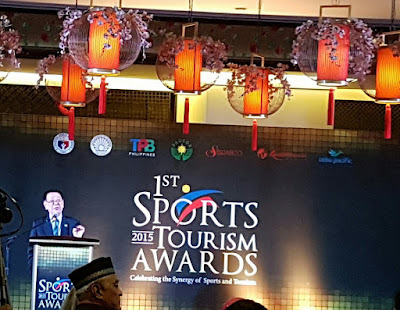 The official Host is the LCS Group (www.1csgroup.com.ph). 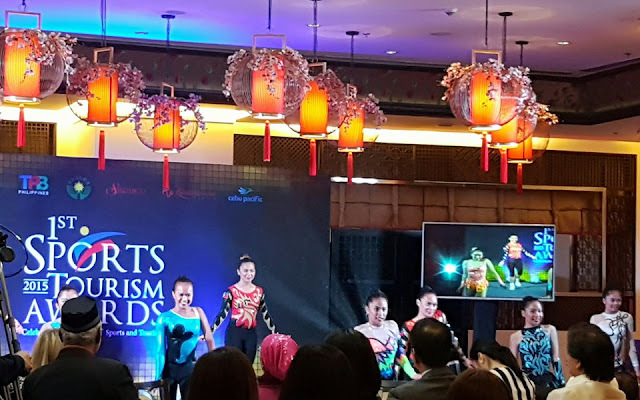 The LCS Group is leading its major partners from the private business sector which include Okada Manila, Solar Entertainment and SM Lifestyle Entertainment, Inc. to provide the estimated USD15 million needed to stage the pageant, to enable it to gain from the tourism opportunities that will benefit the economy. Other sponsoring organizations will be confirmed soon. A working committee includes the departments that are necessary to the successful execution of MISS UNIVERSE who are in charge of the various aspects of preparation such as venues, event programming, marketing and sponsorships, security, hotel accommodations, communications and administration. 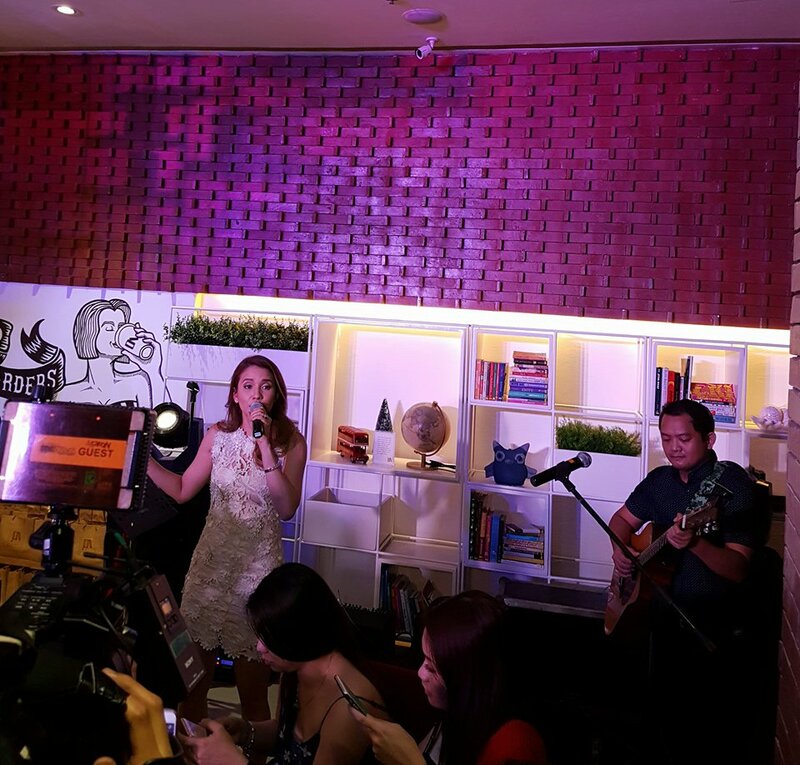 Ceremonial Toast (left to right): DOT’s Asec Ricky Alegre, SM Lifestyle & Entertainment’s Ruby Reyes, Solar Entertainment’s Wilson Tieng. Official Host-LCS Holdings’ Luis Chavit Singson, Okada Manila’s Kazuo Okada and Miss Universe Organization’s Shawn McClain. 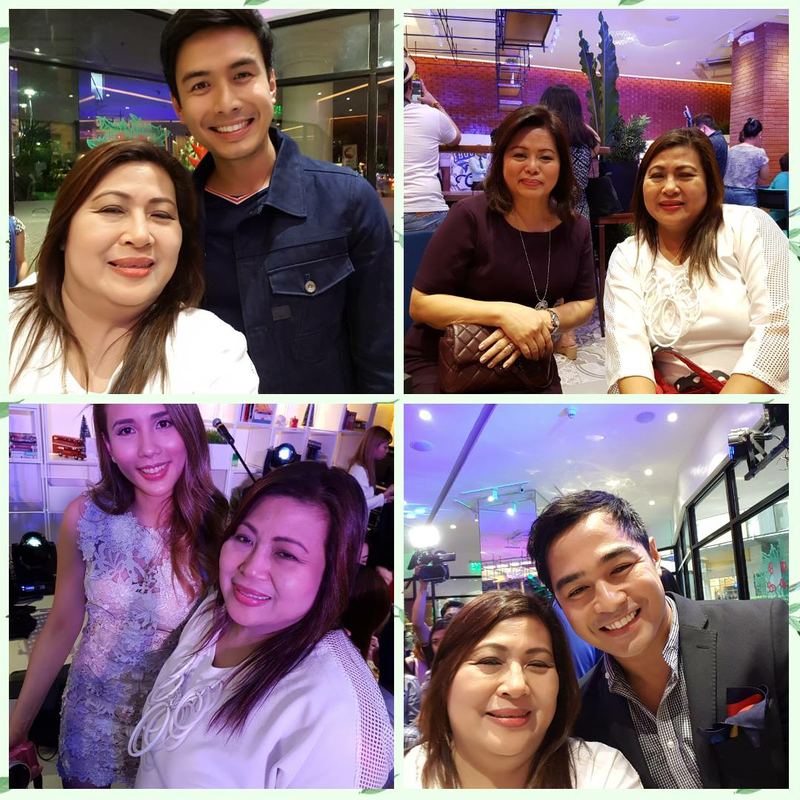 SM Lifestyle Entertainment, Inc.: The Philippines' largest conglomerate in shopping mall and real estate development, retail, banking, and tourism. Okada Manila: The premiere casino resort and hotel complex at the Entertainment City in Metro Manila. 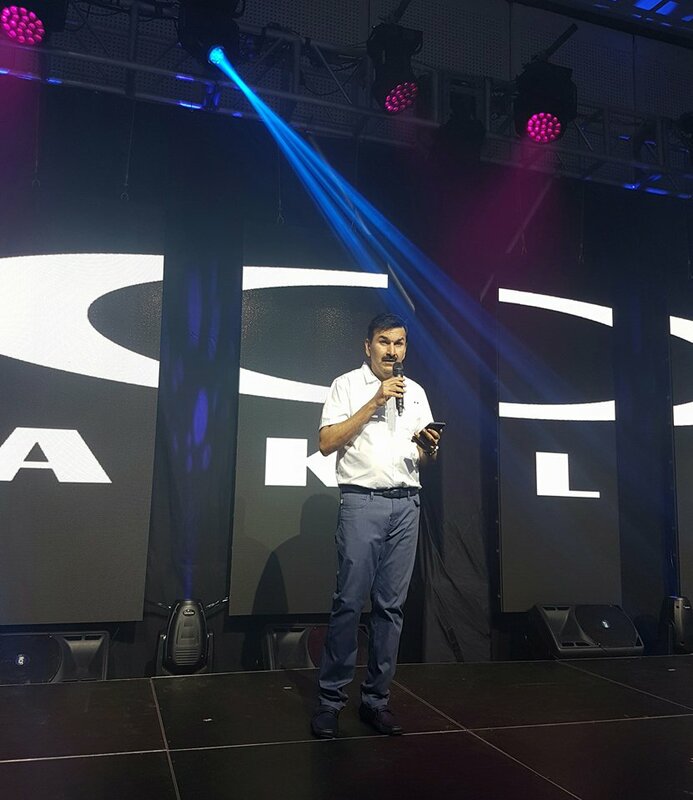 Solar Entertainment: One of the largest content providers and channel operators in the Philippines. The Miss Universe Organization (MUO) creates and advances opportunities for women around the world through its network of relationships across entertainment, fashion and philanthropy. MUO encourages every woman to challenge herself, find her unique voice, and embody the organization's mission of being Confidently Beautiful.